Adding one last dig to our neighbors to the west before tonight’s (hopefully) decisive hockey game, the Steelers did us a favor showcased their new-for-2012 throwbacks yesterday. Yikes. Gone is the 60s-inspired alternate with its trademark yellow helmet. I never loved the previous throwback, but they were perfectly harmless, and a nice rearrangement of the design of the Steelers classic (hate to admit that one, but it’s true) uniforms. 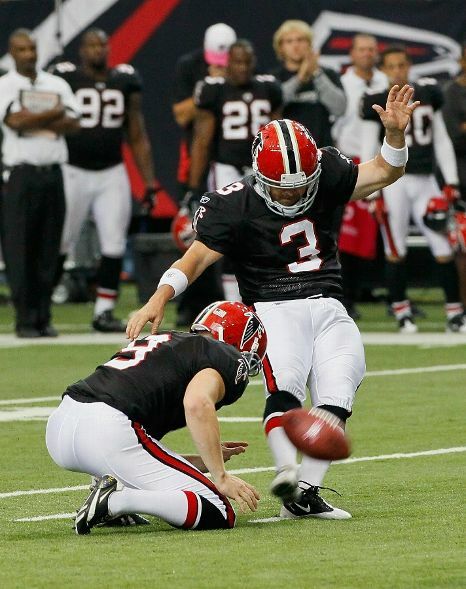 There’s “modern does not always equal good” ugly: the prime offender being the 2000s Bills, with their non-white monochrome uniforms, inexplicable paneling, yokes, and a general sense of “this is over-designed.” Less egregious offenders: the Cardinals and Falcons. There’s “why did you have to break something that was perfectly nice?” ugly: the current Jaguars uniform isn’t particularly… well, it’s not particularly anything. It just exists, devoid of any character. But, it replaced one of the best modern uniforms without improving it in any way (except maybe gimmicky color-change helmet). Another example would be the Vikings current uniforms. 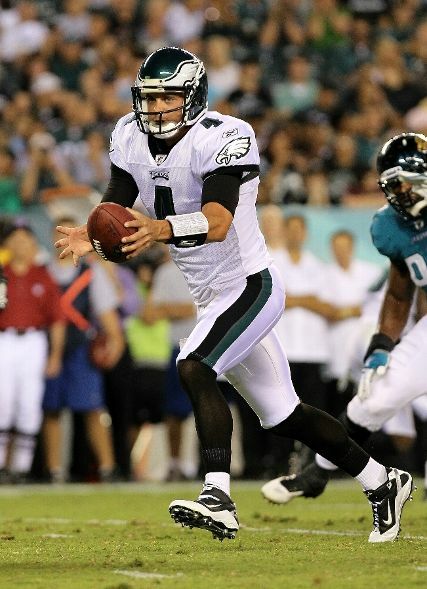 There’s “old teams used weird colors” ugly: the 2007 Eagles throwbacks (yellow and light blue – together on a football uniform at last!) were harmless except for the ridiculous (though historically accurate) color scheme. It’s still funny to see these in the stands, serving as proof that Eagles fans will buy and wear anything associated with the team. 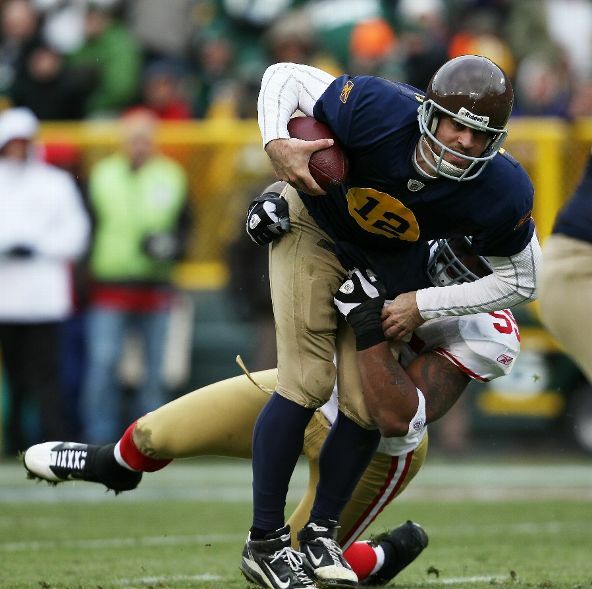 Lesser offenders: throwbacks worn by the Packers in 2010 and 2011 (not to be seen in 2012, though). The Steelers have managed to create a new kind of “ugly.” Welcome to “so bad it should be good, but it’s just bad” ugly. Everywhere you look, there’s something that would be noteworthy (possibly in an endearing way, more likely in an annoying way) if it were the only abnormal feature on a uniform. Horizontal stripes like you’d see on a rugby shirt. A non-color (light beige?) color for the pants, probably in an attempt to mimic an olde timey fabric like canvas or whatever real men wore (probably loosely woven burlap or similar) when they played real football. They’re going with their normal black, logo on one side, helmets. It’s actually nice they’re not trying to match a leather helmet by going with brown (like the Packers did to middling results) but at least use a solid black helmet without a logo. I may even approve of the use of matte black for this special case. Striped socks are good. Alternating stripes the entire length of the sock? Not good. The 2009 Broncos AFL Throwbacks are thought to be in this category due to their vertically striped socks, but notice that aside from the socks and the jarring colors (see above about olde timey colors), the uniforms are pretty ho-hum. It’s a ballsy move on the Steelers part to choose this look as their alternate uniform this season. Sure, it’s hideous (and is actually technically a “Pittsburgh Pirates” uniform from before the name change), but it’s the type of risk that gets fans engaged and the type of risk Eagles management would never take. 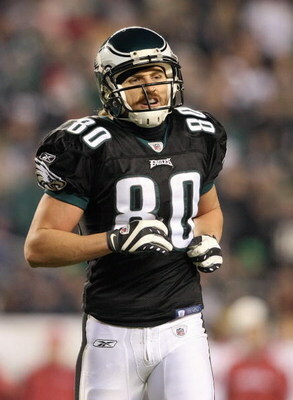 The Eagles won’t even wear their black alternates which are about as safe as can be in terms of rocking the boat. Sure, these are just uniforms, I get that, but as Kyle detailed previously, they’re one more component of a team which, since the trade of Donovan McNabb, has gotten complacent about almost every facet of the organization. I’m really, really surprised Kyle managed to not open his earlier article with one of his patented, lengthy comparisons between some sports-related event and some (hypothetical) relationship or “girl” story with expectations as high as they were. It would’ve practically written itself. Of course, the high expectations were generated completely by Nike (and some widely circulated fan renderings made in the style of Nike’s “Pro Combat” NCAA uniforms which were frequently and erroneously reported as “the 2012 Nike uniforms” well after they were confirmed to be fanmade), as there’s simply too much money in the NFL to rock the boat. 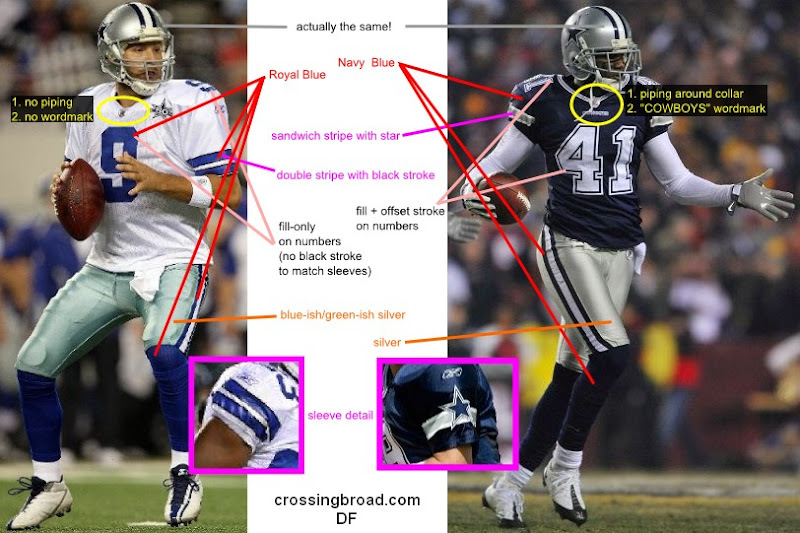 Patting myself on the back, I’ll point out that I predicted the uniforms generally wouldn’t change. For what you care about, as far as we know from what we’ve seen so far, the Eagles uniforms aren’t changing at all this season. Being that Nike only showed the green over white combination (more on this below) and it didn’t change anything on that combo (in fact, according to Nike Corporate write-up for the Eagles, they “have chosen to stay with their traditional design aesthetic as well as their former uniform fabrication this year,” it’s safe to assume the Eagles other components (white jerseys, green pants, black alternates, assuming those ever make an appearance again) aren’t changing either. That’s it. End of story. The best way to analyze today’s event is to figure out what it wasn’t. Yesterday’s event was not for football fans. Every fan wanted to know what their team’s “new” uniforms looked like. Nike only showed one combination for each team. Of course, the reason for that is twofold. 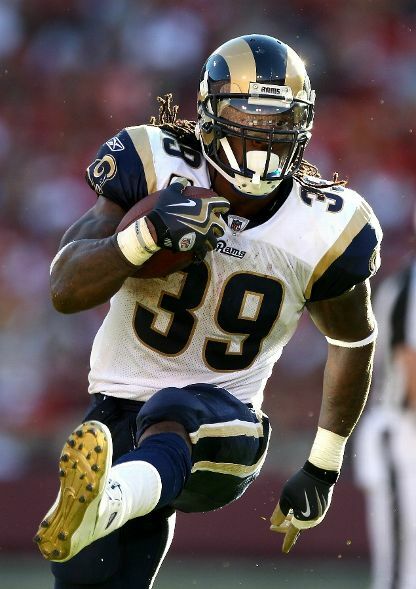 1) With 32 teams and multiple jersey/pants combos for each team, there are simply too many combos to show in-person (the Rams have seven combos which they regularly trot out, for example), but even the Nike website and store show only the primary/color jersey for each. OK, maybe the merchandise/material isn’t available yet (these are two of the largest brands in the world, get your stuff together), but computer renderings could have been made for publishing on the Internet, a la an official style guide. Oddly, there are some substantial uniform updates for 2012 which weren’t even mentioned on the 3rd. 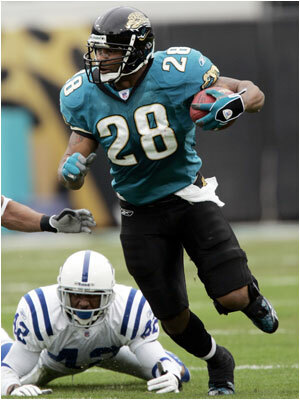 The Jaguars will be adding a black alternate to their current set for the 2012 season, so there could be other notable updates for which teams want to control the release as opposed to Nike or the NFL. 2) There was nothing “new” about the uniforms from a fan’s perspective (other than for Seahawks fans, of course). If recaps of the event included lines like, “And after showing the Rams 5th effectively unchanged combination of 7, this reporter’s eyes began glazing over,” it’d ruin the coverage. Instead, we get reporting(?) on how these uniforms will “usher in [a] new era of sportswear” (note: they won’t). Yesterday’s event was not for the NFL. The event was a Nike commercial where they could push their brand values of performance, etc. in exchange for the $1.1billion they (reportedly) spent for the NFL license. That’s all well and good (capitalism! ), but that’s all it was. Fans don’t care that the new fabric is however many percent lighter or better at wicking moisture (unless they’re materials science engineers). It’s simply means to an end for associating all of Nike’s products with “faster, lighter, stronger.” Again, that’s fine, but the “new” uniforms aren’t a big deal to anyone other than Nike (or Seahawks fans). 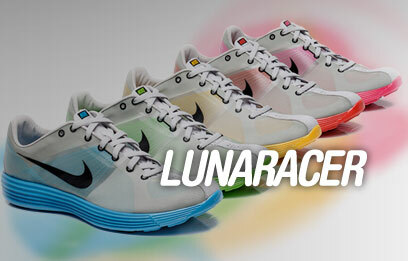 To talk about this “changing everything” or “the game never being the same”…geez, slow down, Nike. Speaking of the Seahawks and their new design… they actually did post a complete set of pictures showing all combinations. Generally, the new uniform is an evolution of the current design, not a throwback-inspired 0r clean sheet redesign (don’t tell Nike that). They did add a grey alternate jersey (as well as pants), but the Seahawks generally wore monochrome White or Blue in the last few years in the current uniform, so let’s see if the actually exercise all of their combinations. BUT, with 3 pants and 3 jerseys, that’s 9 combos, so we could see an Oregon-typeeffect where they’re in something different almost every week (though the alternate is worn at most twice a year per NFL rules), especially if Nike pushes for it (and they probably will – fans seem generally supportive of Oregon’s non-uniform uniforms. For the record, I actually like the Oregon uniforms, though I wouldn’t mind if they stuck to an NFL-like Color/Home/Alternate, but I guess I’m old-fashioned. Note: this is slightly sarcasm. The NFL didn’t have predictable alternates until 2002.) The new Seahawks uniform is not awful, but in terms of emotional statements that can’t easily be refuted, it doesn’t look like an NFL uniform. In some big picture (let’s say 10+ years), it will look as dated as the current Bengals set, which was also a “product of the  times” type of design, lots of black, inexplicable paneling, non-white monochrome combinations, you name it. On top of both of those reasons, grey has no place on a sports uniform other than “away” uniforms for baseball teams. It’s why I always complain when the Eagles play the Giants, and that’s not coming from a place of Giants-hate, if they wore white pants, I wouldn’t complain as loudly. Follow me on twitter for a variety of uniform related updates during today’s NFL games (@dancfuller). Actually, last week was a little more eventful than was expected. 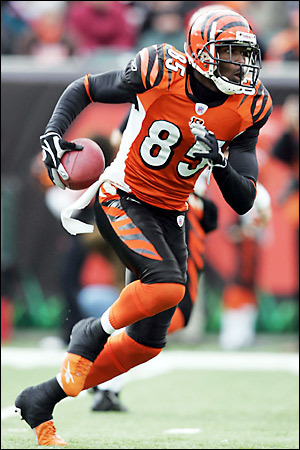 The Bengals wore their orange alternates over their white pants, keeping the everyone safe another year from the “world’s worst Halloween costume” orange over black combo (last seen in 2005, so consider that one likely retired). The Bengals get A LOT of hate from the internet sports uniform community (yep, it’s a thing), but their whole get-up is just uncaringly, unredeemingly goofy, and, especially in orange, it just works in it’s own, well, goofy way. Though it’s not an alternate jersey, the Ravens paired their (normal) purple jersey with their black pants, something they did in 1996, then out that combo in their current uniform set for one game last year. It’s a great trivia answer, but it’s an awful uniform combination. It combines the issues of dark/black pants which don’t have any contrasting features (off-color socks, stripes, etc.) with a dark jersey. It’s all the issues of the Seahawks standard monochrome blue uniforms made even worse due to the black/purple combo. Blech. Your Week 17 UniDiction (Eagles, Redskins – for bragging rights only!) is after the jump. The Redskins have deceptively nice uniforms. I say “deceptively” because they’re almost always forgotten in “best of” lists because they’re neither stuck in an “old timey” football aesthetic (Colts, Browns) nor do they have a whole “heritage of winning” in a specific uniform set (Packers). They’ve just been quietly wearing one of the best uniforms in the leage for a while. 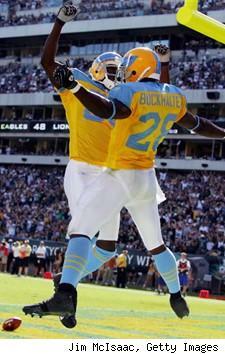 Last year, they added yellow pants, solidifying their status as having one of the best looks in the league. [note: I apparently can’t read a football schedule, and I thought they were playing in Washington. Oh well, I like the graphic I put together, so I’ll go with it…] The Redskins usually pair their yellow pants with the maroon jersey at home, but they don’t always. There seems to be neither rhyme nor reason, so I’m assuming they’re going with their best combo, maroon over yellow. 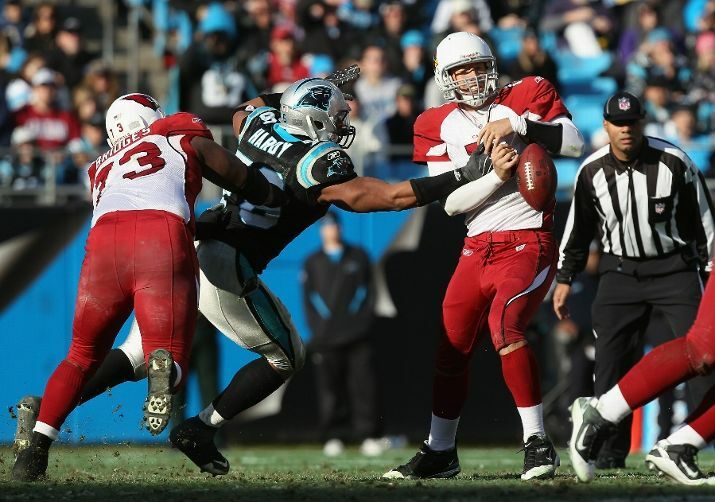 I’m feeling particularly spiteful, so I was harsher than usual on their helmet and intangibles this week. 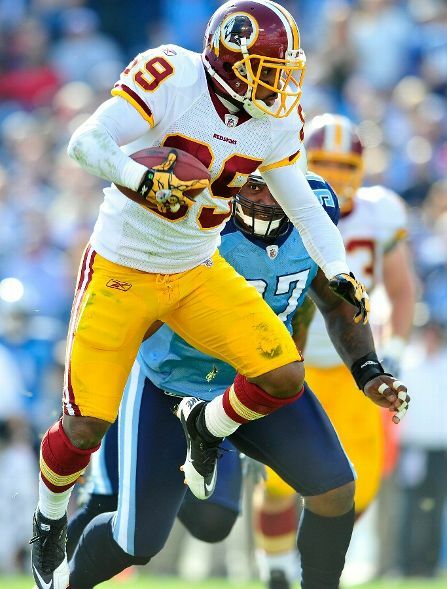 Being that the Redskins are actually visiting and in white over maroon, let’s call that combo…18 points. Not loving the dark pants, but still a good look, better than white over yellow. The Eagles will be in their best combo, “midnight” green over white (OK, so the Eagles only have two possible regular season combos this year, but it’s obviously the best one). Let’s say it’s worth 22 points. Yellow pants have come and gone (mostly “gone” during the lifespans of the majority of the readers of this site) throughout the Redskins uniform history. In my picture above, I called out the “double headdress” effect on the helmet. I think that’s a product of keeping the ’70-71 helmet logo motif, but adding the head for the ’72 uniform update. 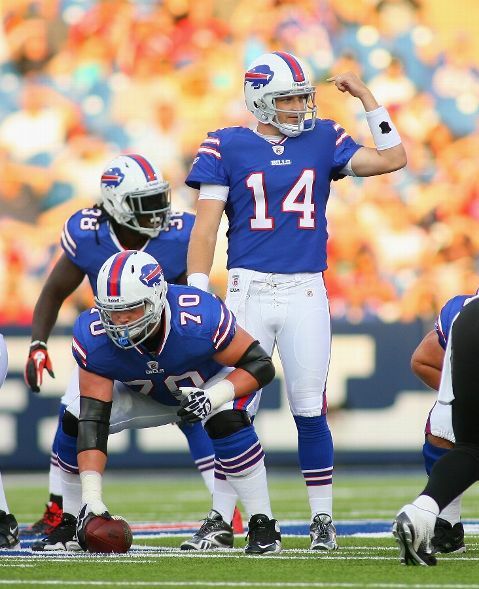 They were generally a White at Home team until they added the yellow pants in 2010. Since then, they’ve exclusively worn their maroon jerseys at home. The maroon color is called “burgundy” by the team. Too bad. It’s not burgundy. It’s maroon. Same as previous except “gold” is actually yellow. The addition of the yellow pants in 2010 (temporarily?) retired the great white over white combo. (and also the not-so-great maroon over maroon combo). Each pair of pants has its own, unique socks. This is the last UniDiction of the season! Look for a 2011 baseball uniform/logo round-up sometime during Spring Training, as well as write-ups if anything else noteworthy from a uniform perspective pops up in Philadelphia. ALSO — remember, I already did a lengthy review of tomorrow’s Flyers Winter Classic jerseys. I lost; the Eagles lost. It was an ugly game for every possible reason. Let’s just not talk about it. 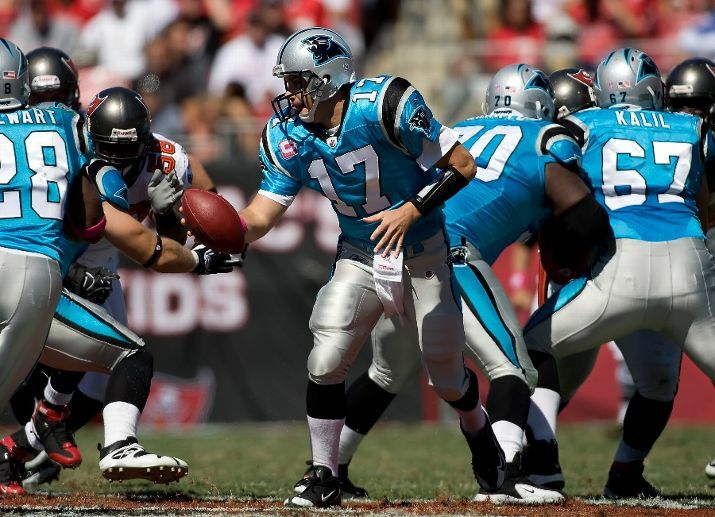 The Buccaneers wore their Creamsicle throwbacks against the Panthers, which are ugly, but in that “so bad it’s good, but no more than twice a season, please” sort of way. 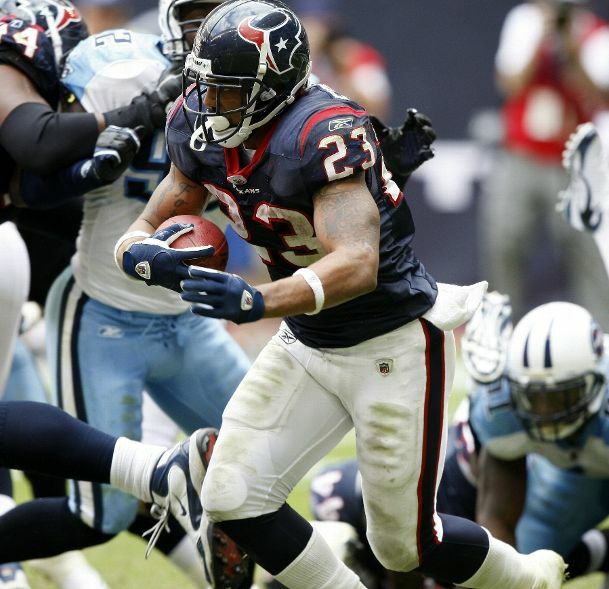 In less positive news, both the Texans and Cardinals went monochrome in their respective games, navy over navy for the Texans and red over red for the Cardinals. 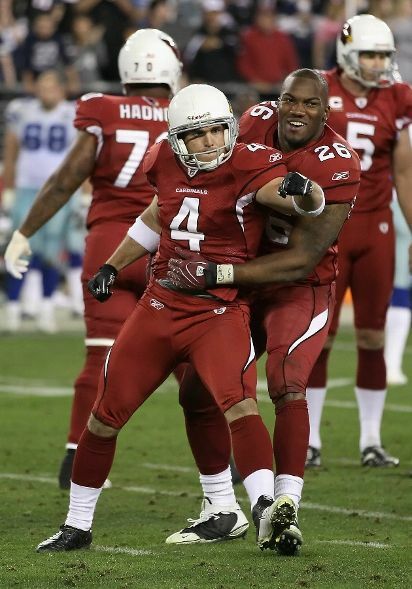 Neither is a good look, but it means that the Cardinals may trot out their rare (though not particularly appealing) white over red combo now that their red pants are available this season. Finally, for trivia lovers, the Redskins and Jets mixed it up by having the Redskins wear their maroon over white (instead of yellow) combo at home and the Jets in their, again, rare (and, again, unappealing) white over green. Lots of details in the picture, but the main take-away is that the Dolphins are an “almost always” White at Home team. Every now and then, they pull out their orange alternates for home, night games, but the Eagles announced they’d be in green this week, so the Dolphins are in white. Though not rigidly defined, the Dolphins generally wear white pants with the white jersey for home games and break out aqua pants for away games when they wear White jerseys (meaning: almost any away games). Check out the Dolphins Uniform history on the Gridiron Uniform Database, and notice the 1997 “tweaking” which changed the shade of Aqua and added the 90s-riffic drop-shadows on the numbers. Generally, their uniforms have been adjusted numerous times (striping and logo tweaks, mainly), but no significant changes since 1966. Pretty impressive for a design to last that long and still look good. The Eagles are in their typical home combination, Green over White. I’ll omit the full break-down, but in short, it’s their best combo of the current uniform set, and worth, let’s say, 22 points (generally, the Midnight Green is simply too dark). It’s actually going to be an unexpectedly great uniform match-up. Let’s hope the game is OK, too. This was cross-posted on Crossing Broad. Well, they may have blasted apart my uniform-generated spread (25-15), but a win (real life: 34-7) is a win. I’m 3-4, the Eagles are 3-4. Not too shabby after a dicey start for both of us. We had a surprisingly lively debate in the comments section for a review of the Marlins new logo on Tuesday, and the uniforms will be officially and fully unveiled on Friday 11/11, so check back next weekend for a full review. But, we’re hear to talk about the NFL today, so let’s start this footbal thing by looking at last week’s NFL uniform action with the help of the always-greatGridiron Uniform Database. For Halloween (? 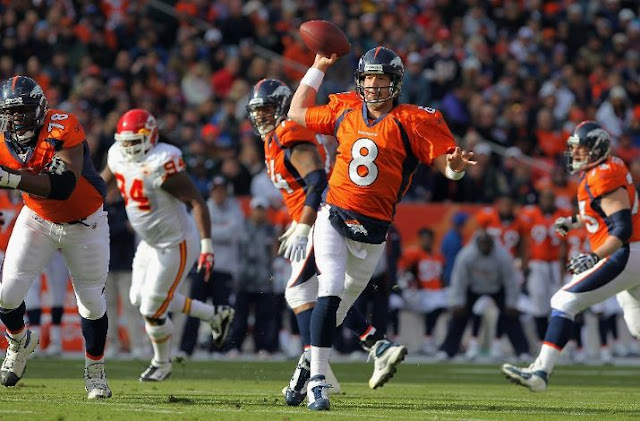 ), the Broncos wore their Orange alternates. I’m not a big fan, but they’re going with Orange as their primary color jersey color next year, so get used to it. Of course, the kicker is that they’re rumored to be changing uniforms completely next year with the arrival of the Nike contract, so it’s anyone’s guess what they’ll look like next year. 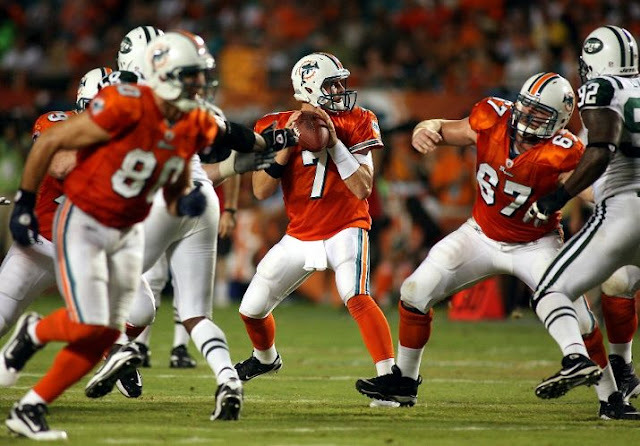 Unfortunately (due to lack of being the home team and general non-funness in the NFL), none of the Bengals, Dolphins, nor Bears wore their Orange alternates. So close, yet so far. 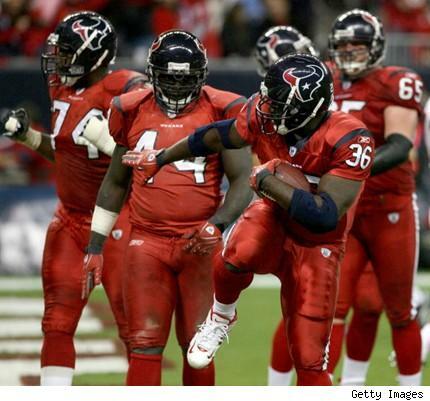 The Texans wore their rare Red alternate over White pants combo (the Red jerseys are usually seen as part of a “Red Out” with Red pants), which is a great look, even better than their unfairly-overlooked-on-best-of-modern-uniform-lists Blue over White combo. 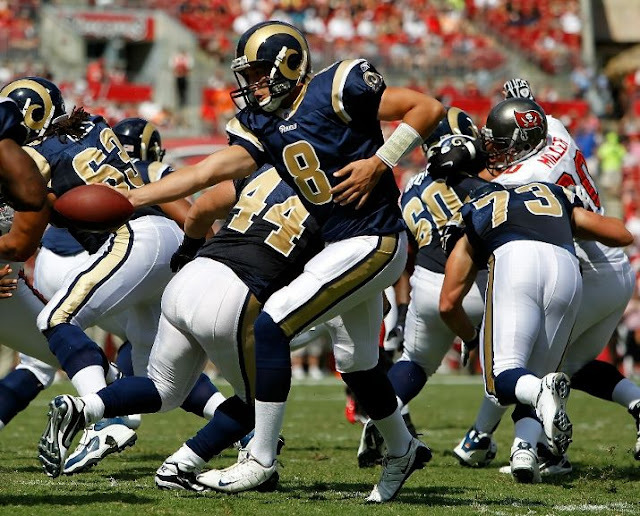 Sporting their Blue over Yellow throwbacks, the Rams showed that their “heritage” look is as interesting as their current uniform, though had they chosen to wear their standard uniforms, there’s a chance we could’ve seen Gold pants vs. Gold pants, as the Saints showed up in White over Gold (their best White jersey combo). Rounding out the throwbacks/alternates were the Panthers in their Blue alternates for the second week in a row. The less that’s said about those 90s disasters, the better. 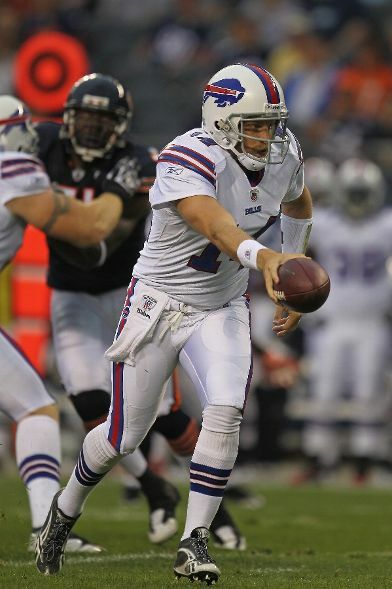 And, finally, in terms of trivia, the Redskins wore their new-for-2010 White jersey over Yellow pants combo against the Bills, creating a bit of an “old school” type match-up. Writing these articles has shown me that there’s much less diversity in the NFL schedule than I expected, with inexplicable* repeat opponents such as the 49ers, Cardinals, Falcons, and Bears (*note: I am fully aware that NFL scheduling is actually rather scientific, thank you very much, but how often do I really want to write-up the Cardinals uniforms?). 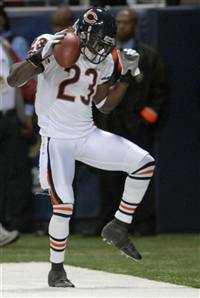 Because the Eagles played the Bears last year (though in Chicago), I’ll borrow from the 2010 write-up as needed. 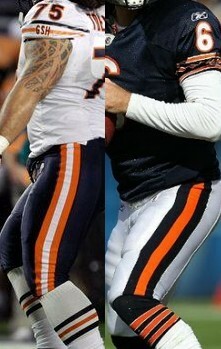 As a quick primer on the Bears uniforms, their standard color jersey combination is Navy over White. For their White jersey, they usually pair it with Navy pants. An Orange alternate appears every now and then (always with White pants). 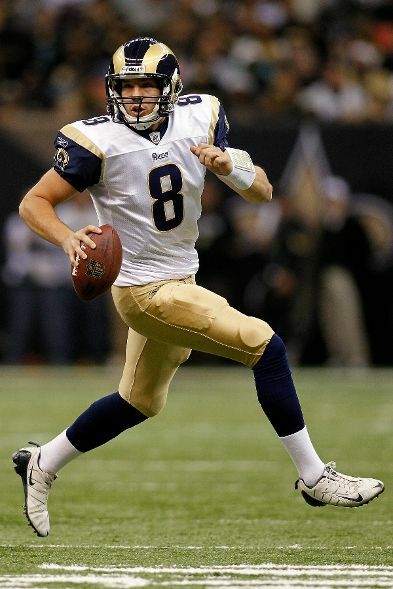 In recent history, they’ve worn White over White (the double set of stripes on each leg is against the uniform rules, so he has probably fined) as well as Navy over Navy as well as a Throwback in 2010 in place of the Orange alternates. The Bears have one of the classic “This is the NFL”-type uniforms, so let’s find out how they’ll do against the Eagles. Eagles: 7 — Same as always. Definitely one of the best helmet designs in the league. I’m a sucker for “functional” helmet designs, and the wings fit the bill. 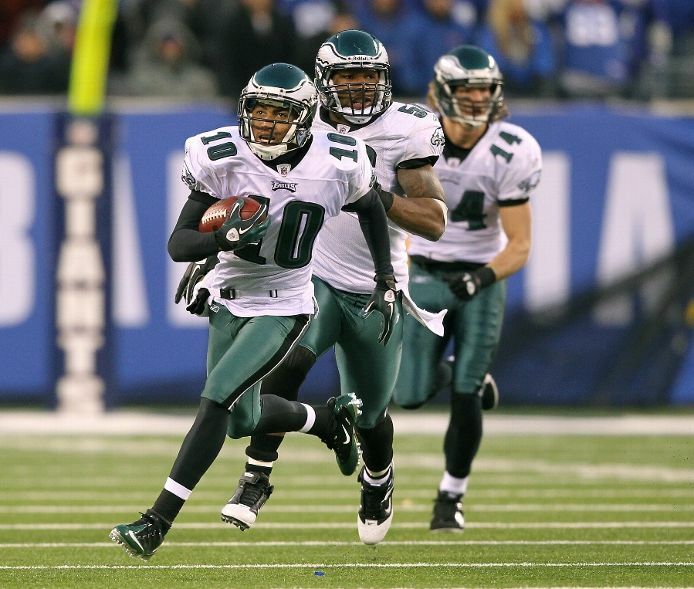 Eagles: 6 — When fans think of the “post-Cunningham” Eagles, they’re picturing the Midnight Green jerseys. A unique, bold color, with detailed strokes on the numbers, and nice use of logos on the sleeves and collar. I’ll remove a point due to the use of drop shadows. Bears: 6 — This is a classic NFL template. No yokes (Titans), framing features (Jaguars, Cardinals), drop-shadows (Eagles). Orange stroke around Navy fill on the typography makes the letters and numbers visually interesting, and the Blue-Orange-Blue stripes on the shoulders keeps them from looking like an unfinished field of White (Colts and Giants, I’m looking at you). Nothing I’d change on these except that Navy Blue looks Black-ish (like the Eagles “Midnight Green”) in poor lighting, such as a night game. Like this week. Eagles: 6 — The White pants provide nice contrast with the solid green of the jersey, and instead of plain white, the thick Black ad Green stripes (with the pencil thin grey stripe) on the side of the pants gives them a slightly modern touch. Black over White socks also break up the White from the pants. I wouldn’t mind if they swapped the Black socks for Green, though. Bears: 3 — Again, a classic design with an Orange-White-Orange sandwich stripe and no frills. Here’s what isn’t so clear about the uniform’s details. Why are the stripes spaced on the jersey and socks, but flush on the pants? Also, the Navy and Orange jerseys and Navy socks (which are paired with White pants) use triple stripes of the same color with strokes, while the White jerseys and socks use spaced Navy-Orange-Navy. Consistency people! Eagles: 6 — Obviously the best combo from the current uniform set. The Green needs to be a few shades lighter (if they wouldn’t do a straight return to Kelly Green) for it to really work in the poor lighting of a night game, though. Bears: 6 — Well, I normally complain when the Eagles wear Green pants due to how dark they are, so the Bears in Navy pants are definitely not any better here, especially for a night game, even if they have bold, obvious stripes on the side (unlike the Eagles with Graphite and Black). 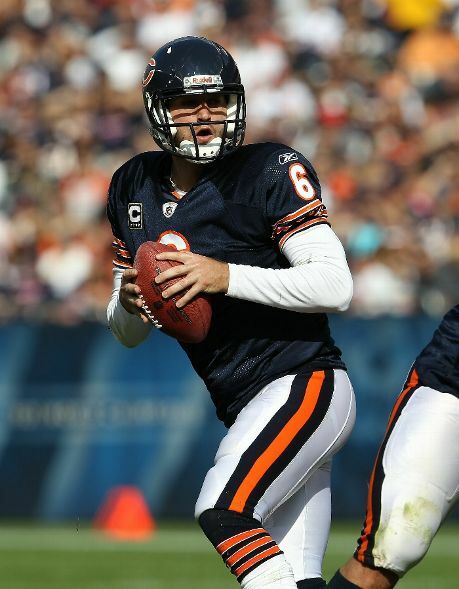 But, Bears fans, these are still nice uniforms. 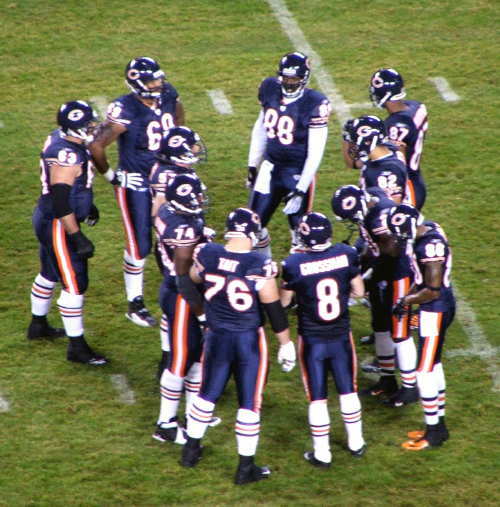 For “classic” uniforms, I prefer the Packers in Green over Yellow, but the Bears in any combo (except Navy over Navy) give them a run for the money. If they show up in White over White (they probably won’t), bump this to a full 7 for outside-the-box thinking. This will be one of the better-looking Eagles games this year. Follow me on twitter (@dancfuller) for uniform updates during Sunday’s games. If you have any questions or want to have a uniform-related argument, whether fact-based or opinion-oriented, just send something @ me. OK, let’s all agree that it was good to see the Eagles win one. But can we also agree that the Redskins looked a whole lot better in losing than the Eagles did in winning? I’ll take the UniDiction loss (2-4, same as the Eagles, by the way), but I won’t back down about the Redskins Maroon over Yellow being up there as probably the best combo in the NFL and the Eagles White over Green… just making me mad. Coming out of the bye week, there are two big weekends of uniform-related happenings to catch-up with. Week 6 saw the Packers in their nerdy “throwing back to a time before NFL uniforms looked like, you know, NFL uniforms” uniforms, the Cowboys in their very rare Blue over (true) Silver combo — yes, I’m proud of the work I put in to this graphic — and leading in to two topics that might shock uniform traditionalists, the Falcons wore their 60’s-inspired throwbacks and the Bengals wore their Orange alternates. 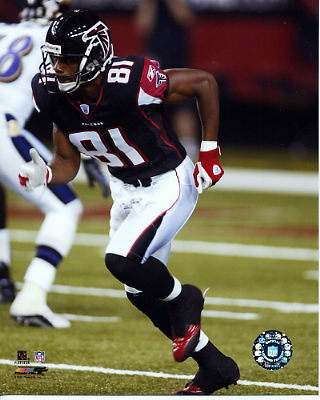 Of course I like the Falcons throwbacks; they have a distinct air of “classic NFL uniform,” but they’re so much better than their standard overly-modern uniforms that if they’re not going to wear the throwbacks full-time, I actually wouldn’t mind them wearing the forgotten Black jersey from the current set instead. Sure, maybe not in Black over Black, but Black over White is a good look. The Bengals paired their Orange jersey with their White pants, and know what? I actually think it’s a good look. I’m not as much of a fan of when they wear the Orange alternate over Black pants, but the goofy details of the White jersey (the inexplicable Orange shoulder yoke) and Black jersey (Orange shoulder highlights) are missing or mitigated on the Orange jersey. Let’s cut-out the White side panel, and it’s actually a pretty nice uniform. Sure, the tiger stripes may be an acquired taste, but it’s a unique feature which makes sense given the team name. Week 7 saw the Vikings excellent throwbacks (which should be the normal uniforms, of course) and the Panthers in their “I Love the 90s” Electric Blue (er, “Carolina Blue”) alternates. The Panthers are rarely on TV in the Philadelphia era, so my guess is few readers even know those alternates exist, so let me devote an additional sentence to just how unfortunate those jerseys are. The Panthers alternates are woefully ugly. Noted. Moving on. (Sadly, they wore them today against the Vikings, so that’s two weekends in a row). Against the Cowboys, there aren’t many unknowns going into the game; the Eagles chose not to wear their White jerseys to try to invoke the Cowboys’ “Blue Jersey Curse,” so it’s Green over White vs. White over Silver. As a divisional rival, I’ve already written-up this match-up twice(Cowboys are “White at Home,” so it’s the same uniform match-up whether at Dallas or in Philadelphia — for trivia’s sake, the Cowboys have a rather nice throwback, but it won’t be seen this weekend), so I’ll borrow liberally from my previous efforts. 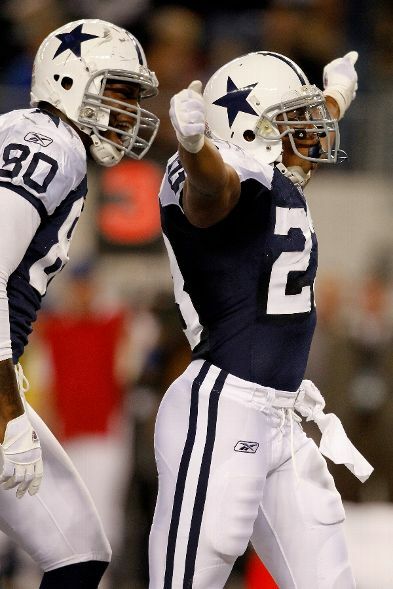 And, in the interest of completeness, the Cowboys rarely seen (though worn two weeks ago) Blue jerseys are an interesting item, not just a color-swapped version of the White over Silver uniforms. Check out this graphic I made detailing all of the mismatched items. You’d think that in the age of HD the Cowboys would at least address the Silver mismatch issue (at least making the helmets match one of the pants; it’s not like they wear the “true” Silver pants from the Blue jersey set all that often), but I guess it’s not too important down there in Texas. BUT, choosing Navy Blue or Royal Blue would at least be nice. The Cowboys uniforms are a tough nut to crack; as an Eagles fan I feel as if I must hate them, but they’re actually pretty nice. 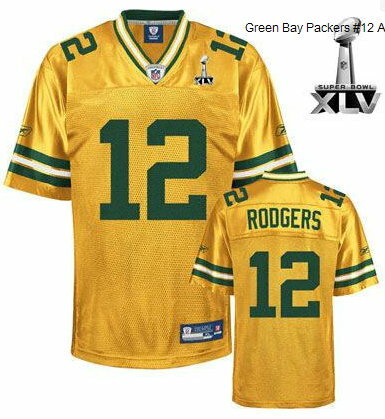 They’re “classic” without looking too plain (Colts and Giants, that’s you) or old-for-old’s-sake (Packers throwbacks). The (slightly anti-Cowboys biased) UniDiction is after the jump. Eagles: 7 — Same as always. Definitely one of the best helmet designs in the league. I’m a sucker for “functional” helmet designs. Cowboys: 6 — It’s iconic and, oddly, rather understated element considering just how prevalent it is in the US. One point is removed because the shade of Silver doesn’t match the Silver pants… either of them. (note: for color professionals out there, please spare me the “it’s difficult to match colors on different substrates, especially shades of grey or silver when metal fleck is a component.” I know, but they’ve had 40+ years to get it right! Cowboys: 3 — There are few things Eagles fans hate more than the sight of a Cowboys jersey, especially if it’s White. Objectively, it’s a 6 (the shoulder stripes break up the plain-ness of it, though the Black strokes on the sleeve stripes don’t match the stroke-less numbers), but subjectively, we’re giving it a 3, because it’s, you know, the Cowboys. Cowboys: 3 — OK, Cowboys. Get your colors figured out, and we’ll talk. Eagles: 6 — OK, it’s the best combo of their current uniform set, but it’d be fun to see them wear their White jerseys at home (preferably with White pants… but beggars can’t be choosers), forcing the Cowboys to wear Navy over (true) Silver. Cowboys: 3 — Out of bringing some professional journalism to this article, I’ll say “these are nice uniforms, here are three points.” Yeah, I feel dirty doing that, but I’m being fair. I may have offered a few more points if they were in their Navy over Silver combination (obscurity=points, people), but the Eagles chose not to force the Cowboys to wear them. Naturally, I’ll blame the Cowboys for that. A pretty good looking game. With the Cowboys in plain colors, a brighter shade of Green (say, Kelly Green) on the Eagles would really stand out…oh, well. Look for me on Twitter (@dancfuller) where I’ll likely have a few uniform-related updates during today’s games. And we’re back. After three forays into Phillies throwbacks, we find ourselves back in the UniDiction wheelhouse… football uniforms. For catching up’s sake, the Eagles had no uniform-related news this off-season. No throwbacks like last year (boo) or 2007 (count your blessings), so it’s likely we’ll see the Black jerseys at some point, likely around Halloween (maybe against the Cowboys on October 30, though they may wear White to invoke the Blue Jersey Curse) or late November. 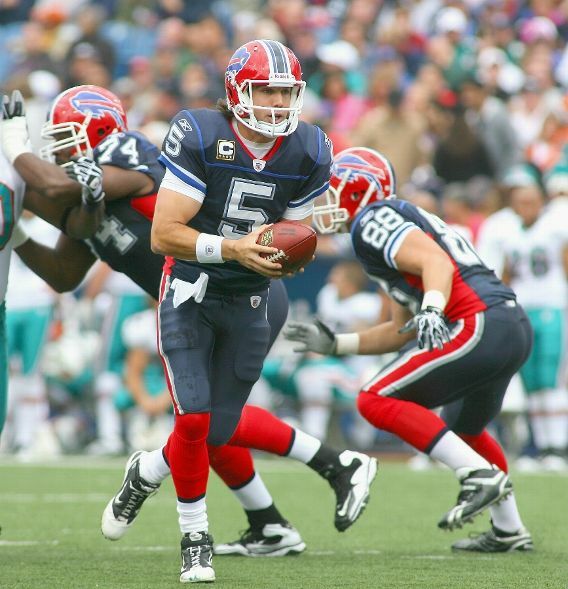 For non-Eagles news, the Bills have an all-new uniform set, getting rid of their CFL/XFL-inspired disasters (quick review: they’re great, but why no Blue pants? ), and the Giants supposedly have throwbacks to the 80s era, but they’ve yet to be announced. There have been rumblings about the Giants adopting throwbacks since they eliminated their Red alternates after the 2007 season but still no (official) confirmation in that direction. 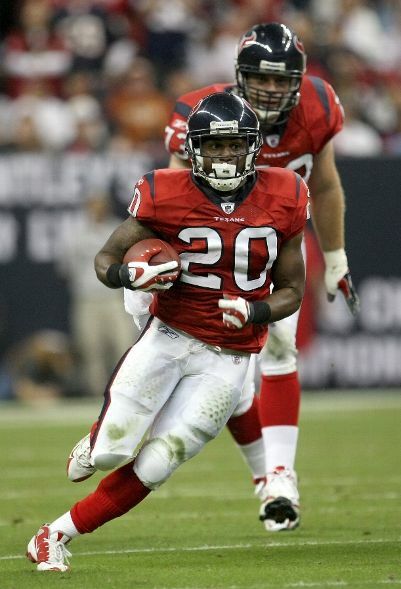 The (potentially) big news which will likely amount to very little is that 2011 is the last season of the Reebok uniform contract, and Nike gets the NFL in 2012. And, gosh, if they did this to Oregon, what will they do to my team?! Relax, it’s the NFL, not a bunch of loosely affiliated colleges trying to appeal to 16 and 17 year old recruits. Maybe some of the teams with that dreaded-for-marketing purposes combination of modern-yet-stale designs and recent futility (Broncos, Seahawks – who’ve hinted at re-designs for next year) will go the re-design route. Though there’s always the risk of a team following the 2009 Jaguars and fixing something that wasn’t broken because it will be easier to re-define the corporate brand in terms of PMS numbers and visual identity than actually creating a “tradition of winning”, don’t expect any crazy Nike NCAA silliness like “Stealth Numbers” (hint: I actually like the effect), team-branded gloves, camouflage, dye sublimation (think: anything with a gradient), or the like on an NFL team near you, especially not the Eagles, who have well-liked modern uniforms as well as a whole bunch of winning seasons within easy memory. 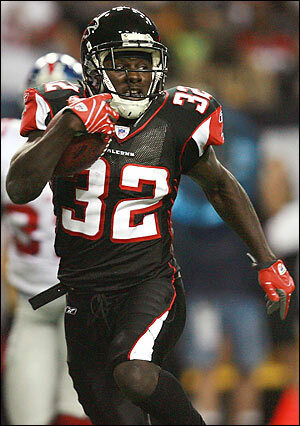 For uniform enthusiasts, the biggest news is perhaps the “opening” of the Gridiron Uniform Database. A simply amazing website you never knew you were missing until now. 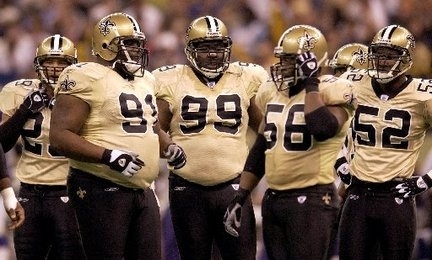 If you’ve ever gotten into an argument with someone who SWEARS the Packers had a Yellow alternate (they haven’t worn yellow jerseys since 1954) because he saw them available online (likely from a counterfeiter) or with “that guy,” who says the Saints never wore a Gold jersey in a game (they did, once in 2002), here is your argument ender. “You just got GUD’d!” Hmm, maybe not the next “Let’s Go Eat,” but it’s… something. Prepping for this season, I’m not sure how I did without the GUD last season (answer: with some inaccuracy about obscure combinations for the Falcons and Titans), but expect lots of links to their content . A great, great resource. Speaking of resources, I’ve put together a publicly accessible image gallery for NFL uniforms, sorted by team. 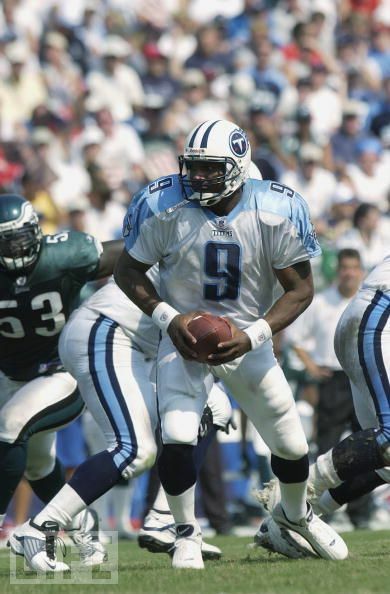 There’s not much metadata other than filenames which include the jersey and pants colors, but if you need to see photographs of the Titans in the rare White over White combo (against the Eagles in 2002, no less), it may be the only place where the pictures are collected as such. And finally, the UniDictions will be a little different this year. Previously, I churned out the prediction between 11:30AM and game time on game day. Why? Because in the interest of accuracy, I wanted to review what the teams would be actually wearing. Unfortunately, though the Eagles announce their uniform picks the Tuesday before a game, few other teams do this. For teams like the Giants and Cowboys, there’s no mystery as to what they will be wearing (heck, I wrote the December 2010 UniDictions for those games in China. Really! ), but teams often have not just multiple jerseys but multiple pants options, too. Even staying within the division, the Redskins have three pants (the new-for-2010 yellow pants are still awesome, don’t worry). So, when the Eagles are home in the latter part of the season and the Green jersey is guaranteed, the Redskins could legitimately show up in one of three different combinations. In the interest of easing my Sunday mornings, this season’s UniDictions will be more general than last year’s, taking into account the opponents’ jersey and pants combinations as a whole. This brings us to the Rams. The Eagles are visiting and announced they’re in White over Green. 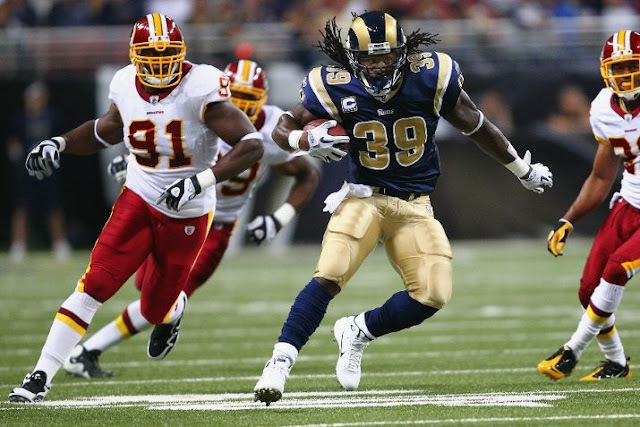 It’s unlikely the Rams would waste their throwbacks on the non-divisional-rival Eagles game, so they’ll be in Navy Blue jerseys, but, like the Redskins, they’ve got three pants to choose from. Which will they wear? Remember, this is scored like football. 7,6,3,2, or 1 point. And, as we retroactively learned last year, to make sense with UniDiction score, the real-game score wraps back to zero every 28 points, so 59-28 is the same as 3-28. Yeah. It’s scientific. Eagles – 6 points. Metallic “Midnight” Green is second only to Kelly Green in the hearts of Philadelphia football fans, and the wings are the kind of “functional” detail that really adds a lot of character to a helmet, much more than simply dumping the logo up there. Rams – 7 points. Unfortunately, when one thinks of “functional” helmet designs, the Rams’ horns are thought of, even before the Eagles, so they get the full 7 points, too. Eagles – 3 points. I’ve put a lot of thought into it in the off-season, but while the White jersey might have grown on me, it’s still not the Eagles best look. The trim and logo/wordmark usage is the throat and sleeves is executed just right. It’s appreciated that the only “modern” silliness is a drop-shadow on the numbers instead of useless panels, yokes, and armpit highlighting features, but… White just isn’t one of the Eagles’ colors. Combined with the Green pants, it’s not a good look. 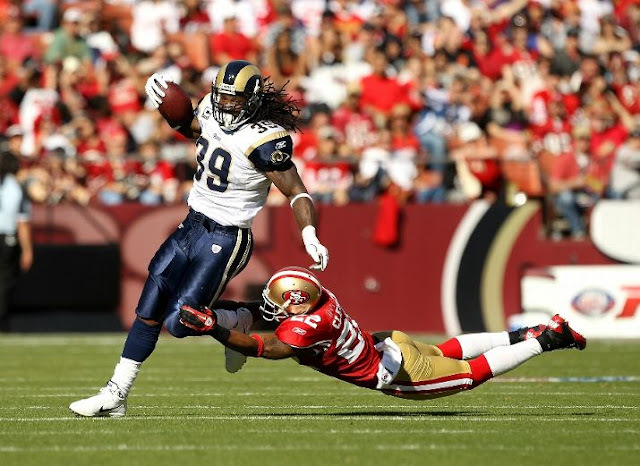 Rams – 3 points. 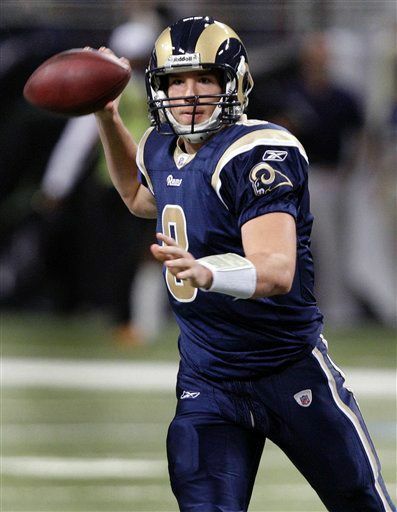 Like the Eagles, the Rams have a “modern-ish” jersey, but they weren’t able to avoid one of the more gimmicky “modern” features: the shoulder hoop. Oddly, this feature is echoed on the White jersey, but it’s used more as a visual break for the contrast-color “sleeves.” Odd and rather bush league (read: CFL) for the White jerseys. Initially, I thought it was meant to evoke their old jerseys where the shoulder/sleeve included the ram horn, but it doesn’t appear that way. The White stroke around the Gold numbers is a nice touch, though. I’ll also point out that their shade of Blue is just that much too dark, and doesn’t pop as much as it should. Eagles – 2 points. In a vacuum where the Eagles pants exist in complete naiveté with respect to the final “look,” the Green pants are harmless. Black/White/Grey stripes all “go” with Midnight Green. Seems like a pretty nice pair of trousers. Until you see them on TV when it’s not a bright day, and they’re just a muddled, dark mess. Dark base material, two of three stripes are dark. No, thank you. This gives me an idea for a future article where I mock up some Midnight Green pants with a wide, White stripe. Don’t worry, I’ll include Black or Dark Grey stripes, too. I also think the socks should be Green instead of Black. Sue me. 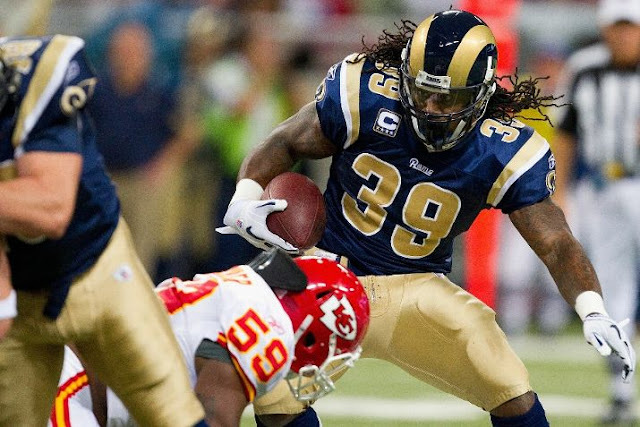 Rams – 6 points. Here’s where it gets tricky. 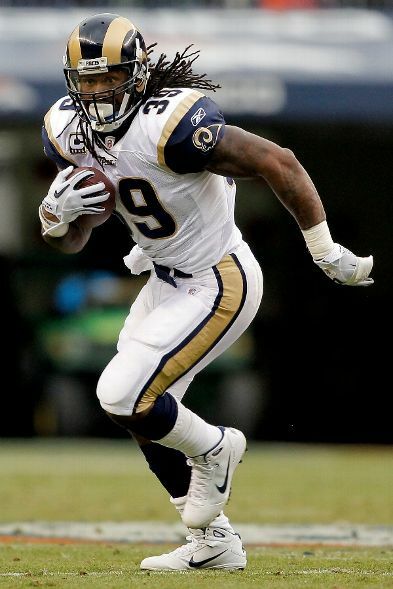 The Rams have 3 different pants they actively wear. Interestingly, they’re not just color swaps of each other. The Gold pants are a solid “field of Gold,” (holy Gold pants overload in that picture) with no stripes, logos, or any type of accents, while the Blue pants and White pants look like simple color swaps, not unlike Mortal Kombat’s Sub-Zero and Scorpion. Oddly, they actually aren’t. 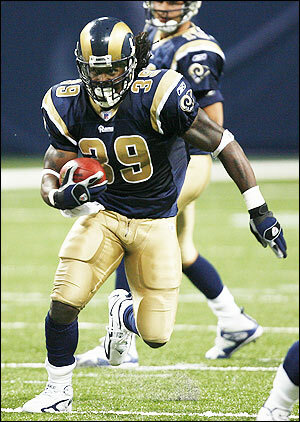 The Blue pants’ striping actually goes White-Gold-Blue-Gold-White, and the White pants are a simpler Blue-Gold-Blue. Using a contrasting color for that super-wide stripe, as on the White pants, definitely looks better than hiding the center stripe in the base color of the pants. So, big thumbs-up for the White pants, indifferent but appreciating the use of the color for the Gold pants, and “meh” for the Blue pants. Eagles – 3 points. At least they still look respectable in a rather unfortunate uniform combination, something some teams can’t say. I’ve moved from “not feeling it” to outright “a little pitchy dog” “I don’t like this” for the White over Green combination, so until/unless the pre-season White over White combination shows up in the regular season (like last year against the Jaguars), the Eagles aren’t going to have a lot of (sartorial) success per my system in their White jersey this season. 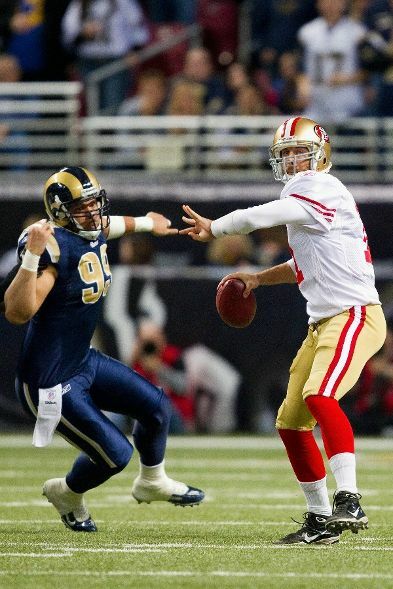 Rams – 6 points. If the Rams choose to wear their Blue over Blue clownsuits, I’ll regret granting so many points, but the Rams’ signature look is the unique Blue over Gold, so expect to see that on Sunday afternoon. If they choose the rarer Blue over White, the Eagles are really looking for some hurt, because that is a really, really sharp look. Yes, I realize I sound like a grandmother using that terminology… but I’ll stand by it. Thanks to The Gridiron Uniform Database, here’s a list of graphics showing all their combinations, year by year.